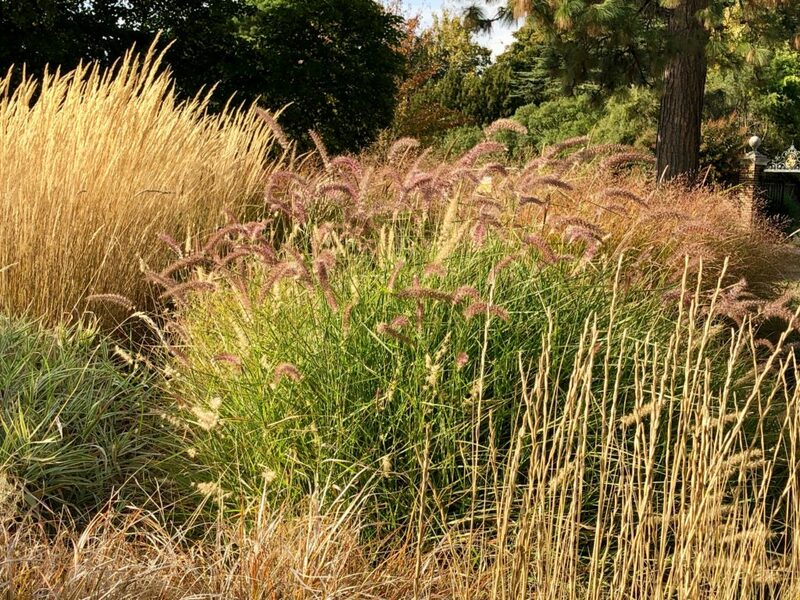 In my pursuit of visiting gardens, I have many people look at me with curiosity, disdain, and pity; assuming that I limit myself, seeing the same things over and over again. One man commented I “wasn’t into art” and would, therefore, miss the great works that make us human. I smile and nod politely knowing full well a garden holds so much art, architecture, and stories, I feel sorry for those who are not into visiting gardens. 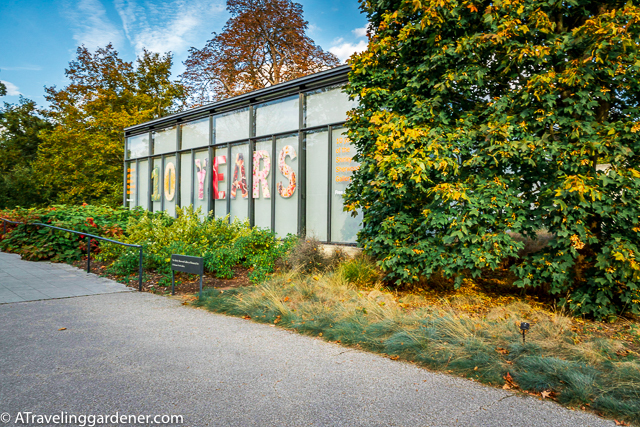 Two full days were spent visiting the famous Kew Botanical Garden on my recent trip to England. It is botanically, architecturally, historically and artistically rich in its offerings. Travel guides suggest 1/2 day is adequate and that would include taking time for lunch, but such a short visit would not begin to allow you enough time to explore this incredible place or help the garden visiting skeptic to understand what a garden offers. 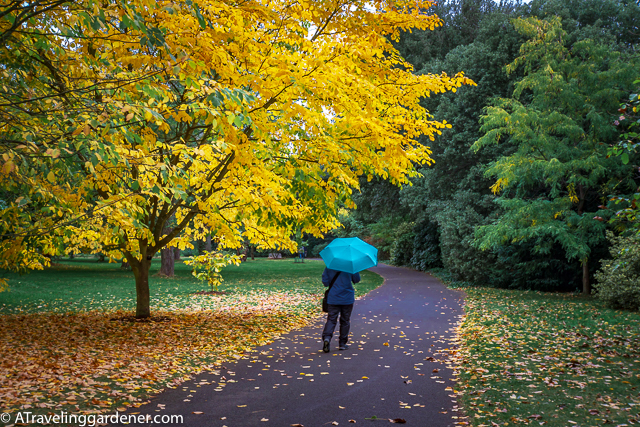 Over 14,000 trees of Kew garden are a gallery of art all by themselves. There are flowering trees, holly trees, gnarly trunks of plane, oak, and lime trees lining the walkways and in groves. The famed glass conservatories are an architectural wonder filled with a historical collection of plants from around the world. The formal gardens are living paintings of shapes, colors, and scenes that rival any art collection. 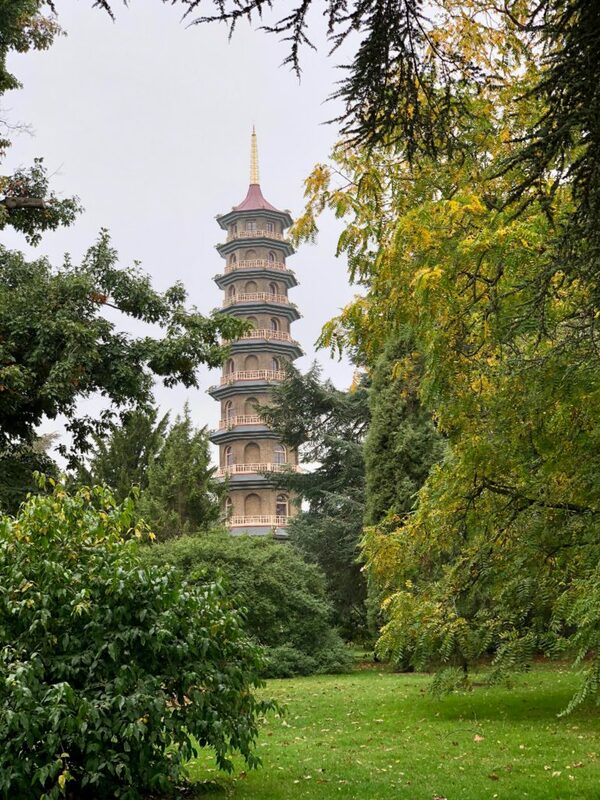 But unknown to many garden visitors there are in many gardens, including Kew, specific art galleries with rotating exhibitions that rival the vast collections of established museums. 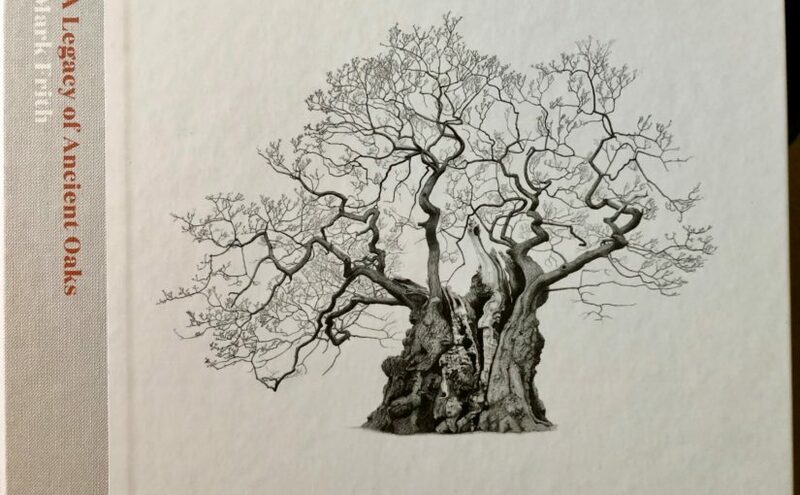 The Shirley Sherwood Gallery of Botanical Art is currently hosting Mark Frith: a legacy of ancient oaks. And here I begin to struggle to put into words the impact this exhibition had on me. 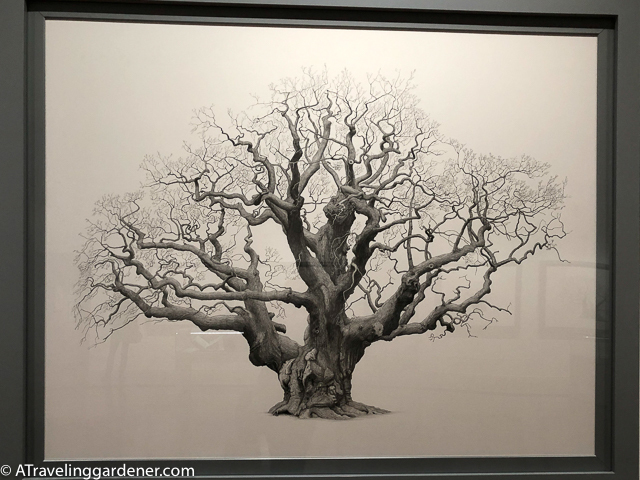 A few facts: 20 pencil drawings of oak trees. These are portraits of a winter tree; no leaves, no background setting, no context of the tree’s community. The drawings are 5’6” (1.7m) wide. The exhibition is in a room with subdued lighting. The art is pale gray pencil on white paper displayed in gray frames. Since the center of the tree hollows out as it ages it isn’t possible to determine the tree’s exact age using the tree ring method. Yet looking at the shape and character the tree trunk reveals it is clear these trees have lived long lives and will likely outlive us all. He returned to it as a man and began to draw. So intrigued by the relationship he felt with the tree, he began a search for more ancient oaks. So inspired by the possibility of the impact of these portraits, he sought a way to immerse himself in this project leading him to another lover of trees, Felix Dennis. Felix Dennis, “publisher, poet, and lover of trees” became his patron providing financial backing as Frith continued to draw the ancient oaks for the next three and a half years. Felix loves trees so much he established the Heart of England Forest Foundation and is responsible for planting a new native British forest of over 1 million trees to date. 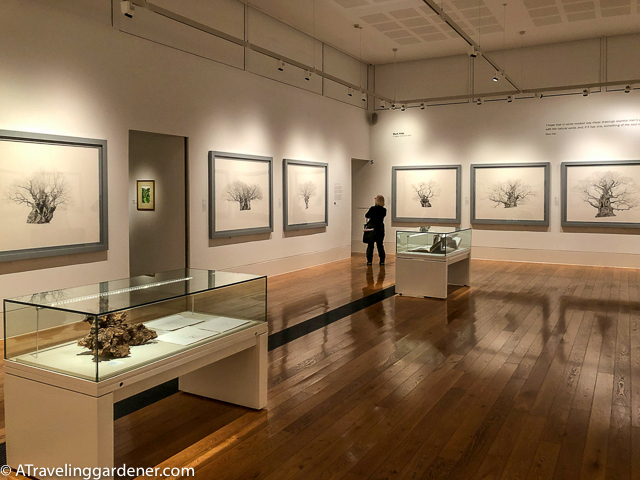 Not everyone can go to England, London, Kew and to the Shirley Sherwood Gallery, so an accompanying book to the exhibition can bring this exceptional art to you. 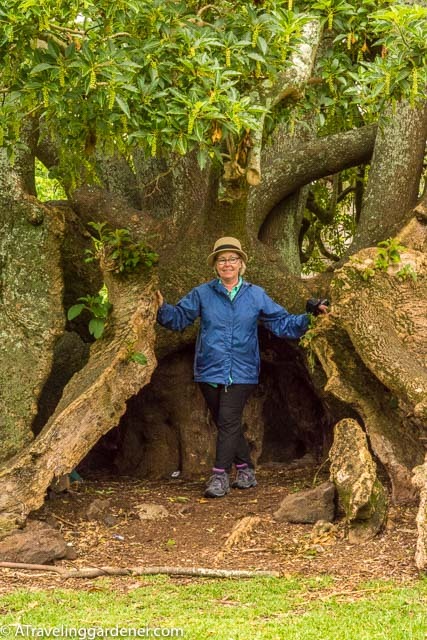 An introductory essay by journalist Emma Crichton-Miller deepens my understanding of the role of trees in art and humanity. Accompanying the individual printed portraits are words of wonder and wisdom from DaVinci to Dennis. A Gazetteer provides a location and bio of each of the twenty trees. 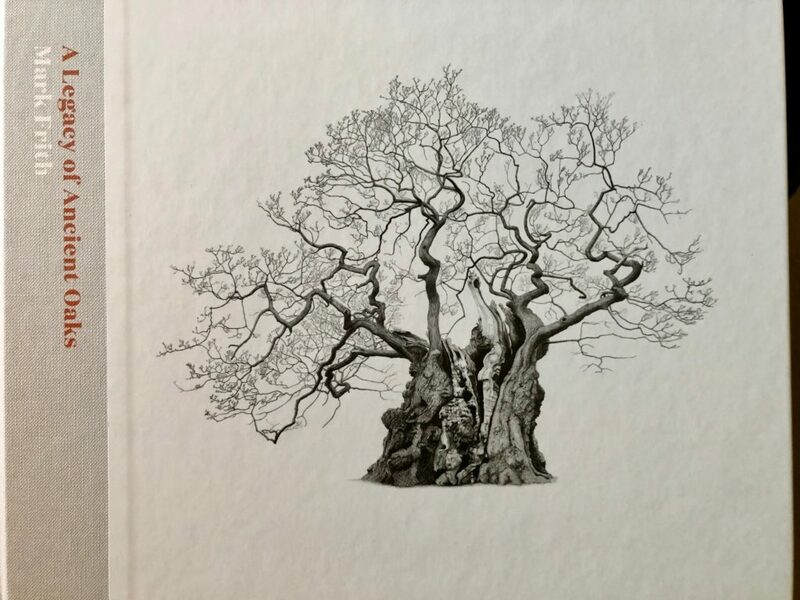 The book, A Legacy of Ancient Oaks, Mark Frith, is available online through Kew Gardens and Amazon. 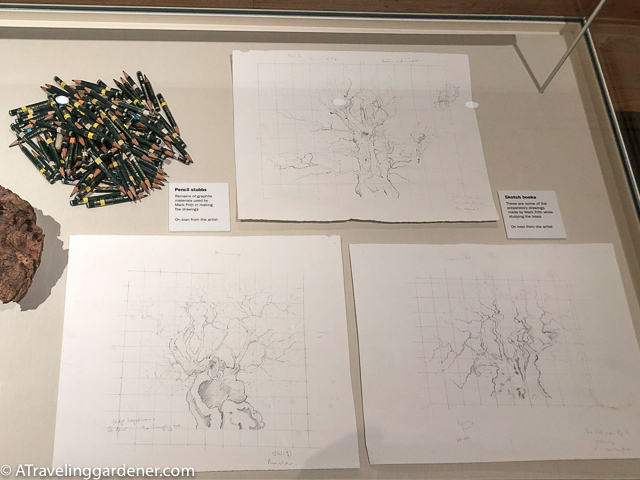 In the exhibition is a pile of pencil stubs Mark used in this enormous project capturing the soul of these great trees. 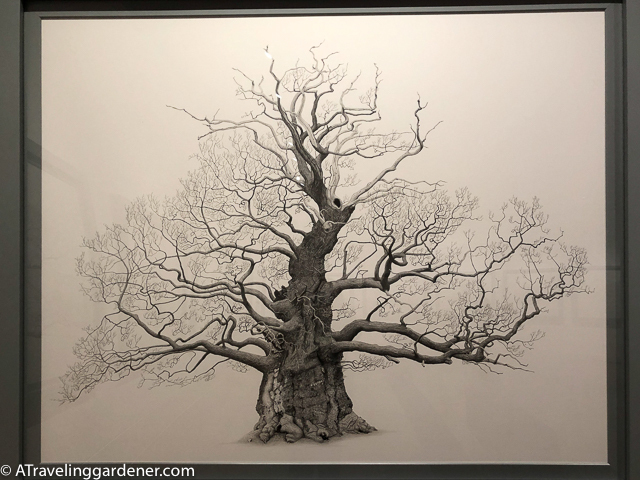 Pencil after pencil, hour after hour, in all kinds of weather, for three and half years, this artist persevered to capture the character and magnificence of these trees. Seeing this exhibition touched my soul deeply and reinforces my belief that the best view of our world is found in a garden. I love trees. Why does the tree get hollow as it grows? Brings to mind hobbits living in trees. What I’ve read is there is a fungus that can take hold. Still some of the oaks are hollow and still live 100’s of years. Some of the trunks are so knobby and twisted, they have the most unusual look. I see faces in some! 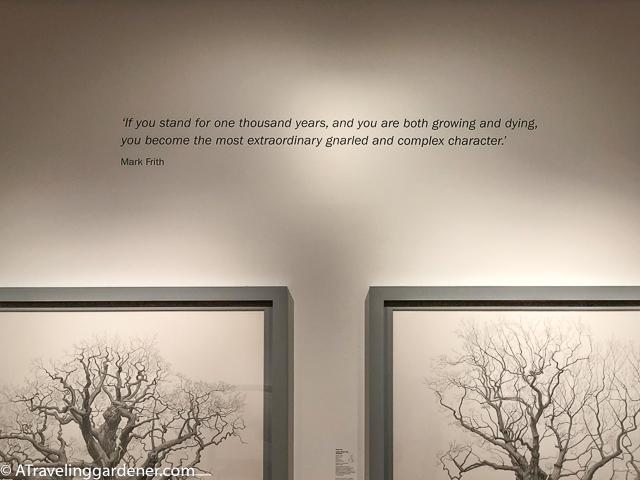 “The best view of our world is found in a garden.” Wow, I’ve always felt that about trees and you shared not only a most fantastic exhibit of trees, but the words you use describing your experiences enlighten and enrich my soul! You are a delight sharing your experiences in a most beautiful literary style. 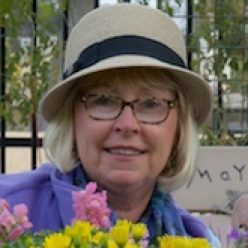 Thank you for continuing your “travelog” about gardens and my favorite, trees! You’re actually cataloging the very things that I enjoy and might never see. Thank you Cynthia, I do hope you are doing well and you see beautiful trees everywhere you go.